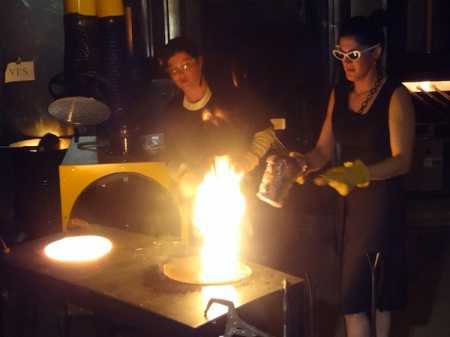 I sure do wish I could have been at Urban Glass to witness the group, Burnt Asphalt Family’s cooking and glass blowing party. For an audience of over 100 people the group demonstrated their glass blowing skills while preparing a meal for their visitors. What a blast! From roast pork and brussels sprouts to pineapple it sounds like it was a great show and meal. This information comes from BlouinArtInfo via Facebook.